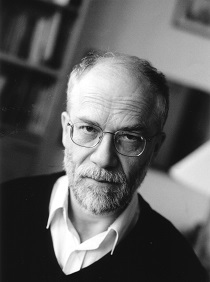 Henrik Colding-Jørgensen received his degree as an organist from the Royal Danish Academy of Music in 1966 and as an authorised music teacher in 1967. During the early 1960s he studied composition with Vagn Holmboe complimenting this with later independent study on instrumentation, electro-acoustics, computer programming and more. Henrik Colding-Jørgensen taught theory, ear training and organ at the Copenhagen Music School from 1967 to 1970; and from 1969 until 1975 classes on music theory at the The Carl Nielsen Academy of Music, Odense. In 1975 he was appointed organist and choir leader at Hundige and Kildebrønde Churches south of Copenhagen, where he remains responsible for this large parish’s musical requirements.Member of the Danish Composer’s Association managing committee from 1981 until 1991.